Right in the heart of downtown Redmond, Thai Ginger is the local go-to restaurant for authentic Thai food with consistently impressive flavor and service. Our Redmond location is part of the Redmond Town Center complex that has over 110 shops, restaurants, and entertainment venues, making dinner a destination. Come for the food, stay for the fun, or stop by Thai Ginger after you’ve worked up an appetite shopping or running errands. We offer an elegant yet casual interior with beautiful wall painting and decoration. You’ll feel whisked away to the South Pacific as you enjoy a curry, soup, or perhaps a drink at our full bar. 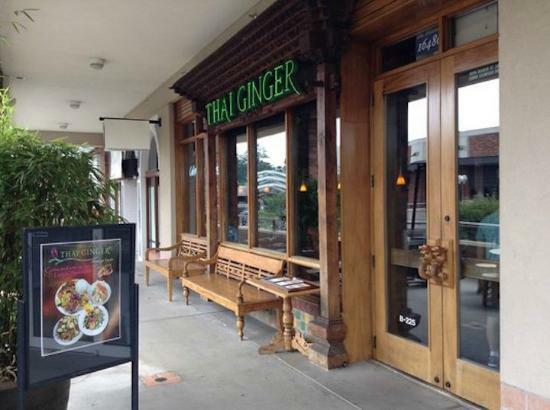 Unlike most Redmond restaurants, Thai Ginger is open until 9:30pm on weekdays and 10:30pm on Friday and Saturday, so come enjoy your favorite Thai dishes for a late dinner!